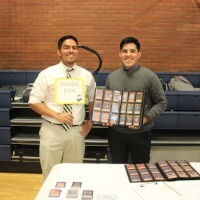 The mission of this club is to give new people a chance to learn Yu-GiOh. We are open to people that are both inexperienced and experienced players. Our club provides a chance for people who want to be competitive to practice and gain confidence as well as the ability to join tournaments outside of school or here on campus.